To simplify life, lighten the load and to carry only what we need, after just one month on the road, we have given away inessentials to deserving locals. We have made a few additions to our kit to make life easier, but it is not really about what we are carrying. What are the six essentials for travelling Overland in Indonesia? Con’s essentials for his Travel Indonesia pack. Liz’s essentials for her Travel Indonesia pack. 1. A sarong to double as a towel, pillow slip, top sheet and appropriate attire for temples. Now we are on the ground ‘riding’, some may say bumbling, we have been asking ourselves if we have prepared adequately for this trip. In the two years since the inception of the idea of travelling the world on a motorbike, I have read little else besides Overlander blogs, studied world maps and bookmarked good websites. A large part of my time was also spent on setting up a Google Group of Overlanders interested in forming a Myanmar crossing group. Con’s time was spent on setting up the bikes, modifying them, and of course teaching me to ride. Tying up loose ends of day to day living in our own home towns was, for us both, a crazy time and of nightmare proportions! Renting our houses, possession sorting, family pet dispersal, sorting out paperwork took at least 6 months of intense focus. Trip planning was mostly at a macro level, except of course for the carnets (CDP) for the bikes, passports, gear lists and a basic route plan. This type of trip planning is not for those travellers who like the assurance of knowing ahead of time where they are going and where they will be staying on a day to day basis. Since leaving Victoria, we have largely been making it up as we go. Many days, I feel like the universe is leading us on a pre-determined path and that there are people along the way whom we are meant to meet. From Darwin onwards, we have been assisted by some amazingly generous and hospitable people. On the other hand, some days, it has felt like the universe isn’t co-operating at all as we face day to day problems which leave us feeling unprepared and rather stupid. Now we are on the ground, the micro level planning needs to be done in a country which doesn’t want to cooperate easily. We have both travelled in Asia quite extensively and thought we were prepared, but we made a few assumptions. Also, because we are independent travellers, as opposed to tourists who utilise tourist infrastructure, we rarely see other tourists and so aren’t able to tap into the network of knowledge that comes with staying in backpackers haunts and following the tourist trail. We do have a small network of other Overlanders who are currently travelling, but they are on the road and on their own journey. 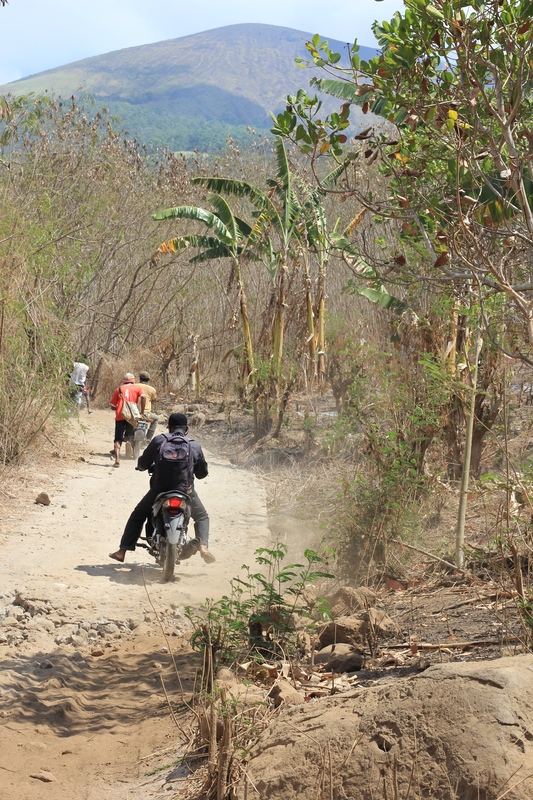 Indonesia has proved challenging as we have moved away from Timor Leste. When it comes to border crossings and visa regulations, things change rapidly and regularly. The challenges began in Dili as we applied for the Visa to cross into Indonesia from Timor Leste. Fortunately we were forearmed with the correct information to expedite this process, unlike others who can find the process stretched from the optimum 3 day time period to 5 or more days. Thankfully the Overlander community helped us along the way in our first bureaucratic hurdle of applying for an Indonesian visa in Dili. For some reason, receiving an Indonesian visa on arrival in the tourist destination of Bali is far simpler than we experienced at the Indonesian Embassie in Dili. 1.You need a passport photo with a red background. 3. Arrive at the Embassie 8.30am to place your name on the list for the following day. 4. Use only black pen when form filling. 5. All going well you will receive your visa in 3 days. Our initial Indonesian Visa was for 30 days and the actual start day began on crossing the border. 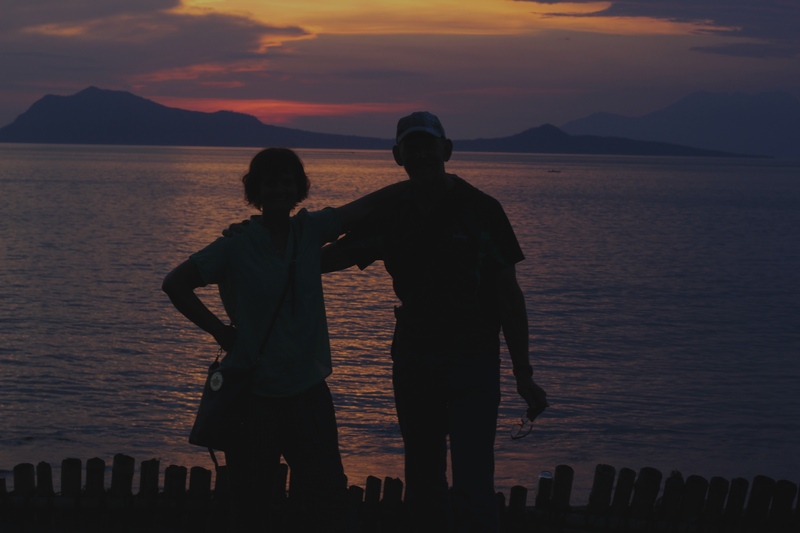 Being slow travellers, we knew that our visa would have to be renewed somewhere along our route towards Java. There is a fine for overstaying the 30 days, so we wanted to be prepared for this renewal and we thought we were. Initially, we thought we had to go to a larger city and Embassy to achieve this. Then we found we only needed a Kantor Immigrasie (Immigration office) which are plentiful around Indonesia. Advice on the ground from expats. to volunteers, to the many researchers we have met all offered conflicting advice about when and where in the 30 days we should apply for an extension. After some research we found that the Lombok Immigrasie was supposedly easy to deal with and being a small city, we decided the address would be easier to find than in Jakarta. We have been known to spend hours finding addresses given to us! We also wanted to avoid a border rush so, with 10 days left, we thought we would extend the visas there. Off to the Kantor (office) we went, feeling particularly and unusually fully in control with the appropriate photocopies of our passports and visas in hand. The Immigration office was easy to find, riding double up with Con riding and me navigating. Far easier than both of us bumbling along with one way streets, goat tracks and addresses that don’t exist. There was no queue at Immigrasie which was a relief so up to the counter I went. It was there I was given the surprise news that the visa type we have is no longer extendable! The rules had changed about a month ago at approximately the time we had received the visas in Dili. An English speaking research student explained that it was actually as we were told and that her friend had also been caught out by this in recent days. Days like this are frustrating as we had a plan to extend our visas, go down to South Lombok where the surf beckoned us, but now? It is times like this that the only source of information is via internet, but internet here is not as we in Australia know it. It is slow, intermittent and often non-existent. Beware the hotel that offers free internet! At times like this you need to readjust pretty quickly and come up with plan B. At this rate we might be in London in 2 years! After recovering from the shock news, we discovered our only option was to leave the country and re-enter to obtain a VOA (visa on arrival). Where to was the question. KL, Darwin or Singapore? Singapore proved to be the cheapest option, so off to Singapore we went for a day! We stepped back into a land of train networks, self flushing clean toilets with toilet paper, clean water and lunch of fish n chips pretty easily. There is always a rainbow in any situation; Singapore was a holiday from our travels. We never did get to the south of Lombok as we flew out from Denpasar, Bali. Our list of places we have missed out on because of time constraints is growing! We have a saying now, “There will always be another Jaco ( a beautiful place on East Timor Leste which is meant to be spectacular). Next time we would explore the option of obtaining a 60 day visa in Australia before departure – amidst the chaos of leaving home. English is not widely spoken throughout the eastern islands of Indonesia. It does not seem to be part of the curriculum in schools apart from in a few little pockets dotted around the country. Road signs are scarce and they are not bilingual. Even signs to tourist attractions often do not exist at all. Local people often do not understand our accents, especially with place names. When asking for directions we have had to write down the place names for them and so somedays we pre write the place names when asking directions especially exiting major cities or towns. A quick stop on the side of the road is made quicker if you can pull a note with place names out of your tank bag. With each stop our pronunciation of the place names improve and eventually they understand our requests. Asking for basic things such as towels can be difficult in hotels, especially when they generally aren’t standard issue. Also it was very frustrating sorting out why the AC room with an amazing view of Mt Rinjani that we treated ourselves to one night for a big price, still felt hot. They thought the room temp. at 27C was cool enough; not when you are paying top dollar! Maybe this wasn’t a language problem, but an acclimatisation problem! Translator apps are great when in restaurants, in hotels or when a lovely family invites us into their home during a downpour and they speak no English and our Indonesian is also non-existent. We regally use the Translate app and not only is it useful, but we have had a lot of fun with it as well. The Lonely Planet guides have a language section and so in Timor Leste this was helpful. However, with weight and space a consideration we decided not to bring an Indonesian one. BIG mistake! The universe did provide one though in west Flores when I spied an old one in a small dive shop and I offered to buy it for $10. Well worth the money in more ways than one even though the information is 6 years old. A good old paper version of the guide is way more useful than the e version. Good maps are nigh impossible to buy in Indonesia and as mentioned before, we decided not to purchase a GPS for this trip as we had everything covered by a Samsung note, a Mac computer and an Apple smart phone That was the biggest mistake we could make. With a lack of English speaking locals coupled with a lack of maps and internet, we have been daily challenged. Fortunately, we did come forearmed with a great app. which works on GPS. It could pinpoint our location but little else until the upgrade only weeks into our trip! The app maps.me (Pro) has been worth its weight in gold. It now allows us to measure distances and sometimes it will locate ferry terminals, hotels and other services. An Indonesian Atlas was also recommended as an alternative for navigation, but the weight would be an issue and we only found this info. once we were already in Indonesia, then there is the mail issue to get one sent! There is also a map of Bali that is like gold if you find it. 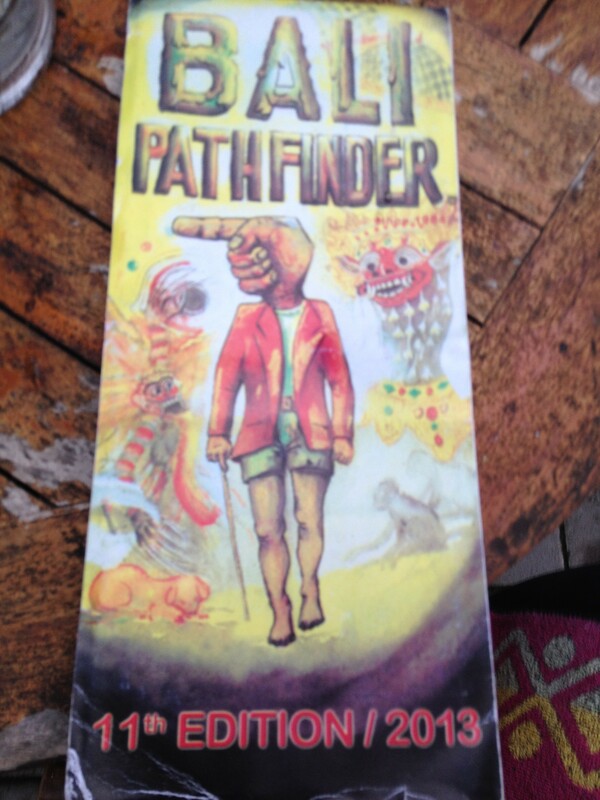 It is Bali Pathfinder, published in Bali and hand drawn! We have a GPS waiting for us in Australia once we work out where to send it and with which reliable postal company, so in the meantime we have bought an Indonesian GPS. Yes it is in English, well sort of. Wait for the next instalment on that story and we will let you know if it works or if we can work it! The internet is full of dramatised accounts of ferry crossings in Indonesia. Don’t believe the fear mongerers who like to over dramatise their own experiences. The ramps are not super steep, the locals with their chickens are not waiting to steal from you, you do not need to sit by your bike all night keeping it safe and you do not have to share cramped spaces with animals and locals. 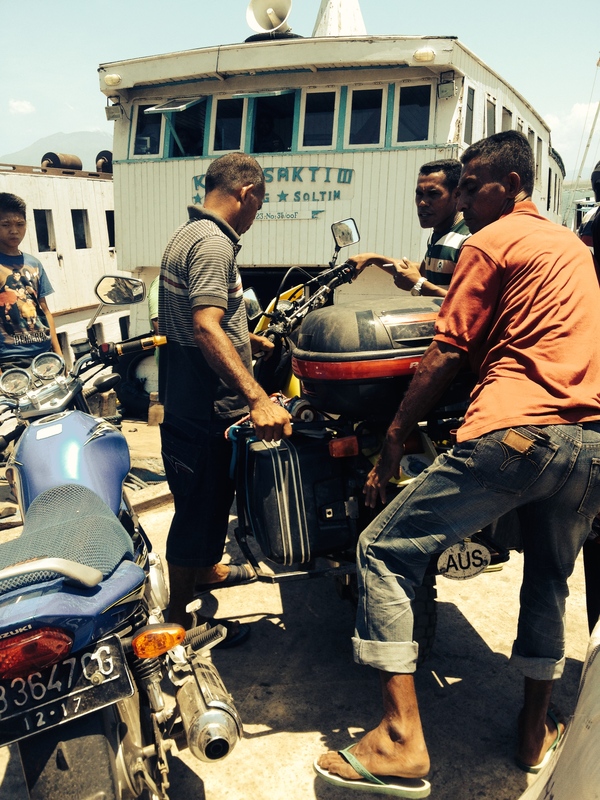 There are many ferry crossings between Timor and Malaysia. Finding some of the terminals has been a challenge, so if possible leave home with the GPS co-ordinates at least! The main ferry service is ASDP and is state operated. Forget the PELNI ferries as they do not take motorbikes or vehicles and do not run as frequently as the state ones. The state run ferries run regularly everywhere between islands and offer some great adventures, from surviving your first entry and exit on the ramp, to having your ‘in excess of 100 kg’ bikes manhandled onboard by a bunch of men and even having to jump from one ferry to the other as they double park! Not to mention the frenetic pace of the whole mass of tightly packed trucks and scooters exiting the ferry once the ramp is lowered. On my first entry, I nearly ran over an exiting passenger which nearly saw me in the drink! There was also the time the ferries double parked and we all got off by jumping on to the next ferry 3 stories high. We walked up the road to book into a hotel and returned in time for our ferry to dock properly. One of our best days so far was as a result of going to Lembata island instead of Flores on a whim. We met some great people at the dock who took us under their wing for our first crossing. So we went to their destination instead and it was worth it indeed. The port at Kepang was our first ferry crossing and the most difficult to find and even though we had a vague idea, it took us ages to find the ASDP port. It is the second one out of town (approx 20kms) and not PELNI. It is a good idea to be at the port at least an hour prior to departure. From Lembata to Larantuka, Flores was an easy morning crossing and they run every day. 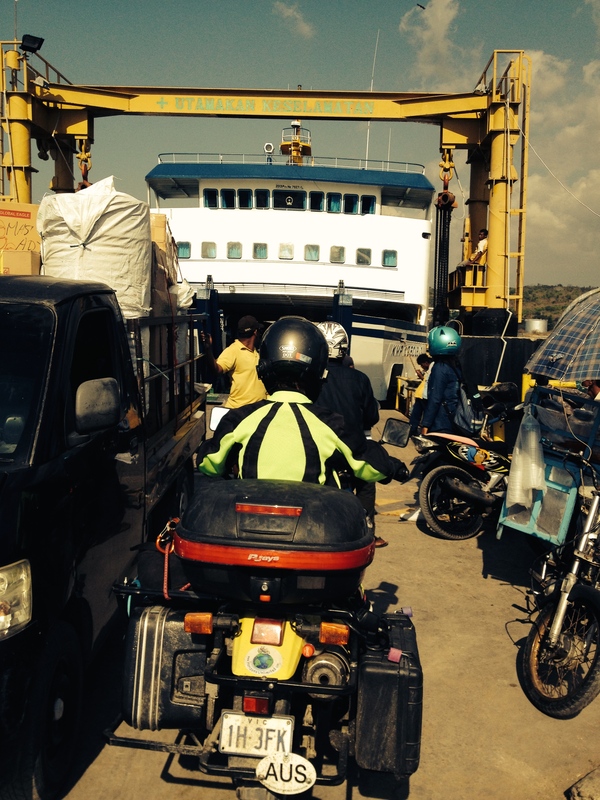 Other ferry crossings between West Timor and Bali have been logically placed and very easy to locate. At the western end of Flores is a most idyllic port at Labuan Bajo where you might want to stay a few days for diving, snorkelling, Komodos and the great fishmarkets. LB has a bright future in the tourist trade as it is just breathtakingly beautiful as is the rest of Flores. Sape the next port at Sumbawa was probably the most unwelcoming port we have been to. Due to the time of arrival late afternoon, we decided to stay at the hotel recommended by Lonely Planet next to the port, which was as described, but we were happy to be riding out the next morning. Toto Pano, the western end of Sumbawa was also a very easy ferry port to find and a quick 41/2 hours crossing to Lombok. The overnight ferries offer bunk bed space with mattresses available for an extra nominal amount. Coffee, other drinks and food are available as well. The key to feeling comfortable leaving our bikes unattended is to have everything lockable. Con did a great job of setting up our security systems. We each have a full set of spare keys for each other. We have a disc lock each, a cable lock for locking the bikes to each other which also doubles up as a system to lock the helmets and jackets to the bike. All panniers have individual locks and are also locked to the bike. We are extremely pleased with our decision to go with hard, lockable panniers. Of course everything has the Conster magic of originality and recycled materials and locks. 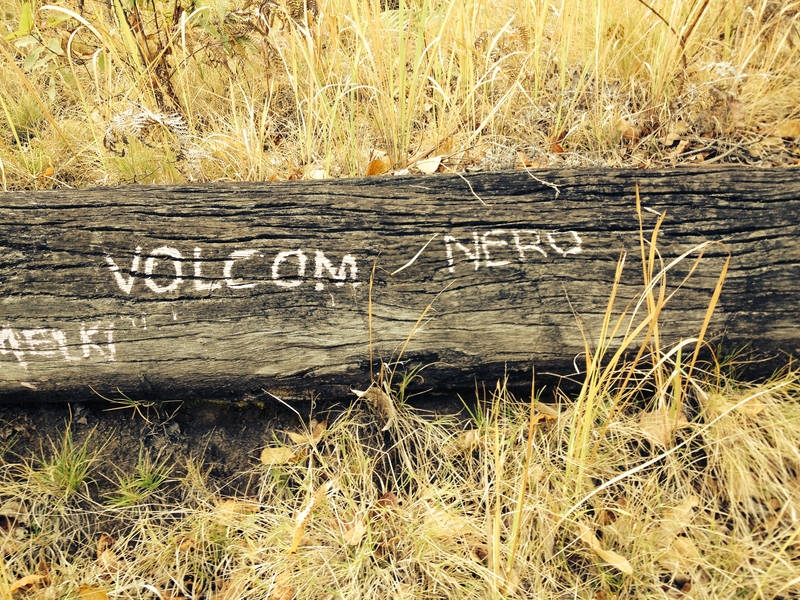 The top of one of the goat tracks on Lembata. The cost of the ferry crossings is certainly affordable. A great tip is to say your bike is a 350CC as that puts it in a cheaper price bracket and the staff wouldn’t know anyway. Over 500CC is another price bracket and for some reason they are supposed to be three wheelers. Some of the ticket sellers do query the size and we just say, “No they are 350s!” We removed our 650 stickers! Air BnB is an app which we have been using to book accommodation ahead and we have found some great places to stay. Not only are the rooms reviewed by others, but payment is made in Aussie dollars direct from our credit cards, thus avoiding the conversion fees we are hit with when withdrawing money from ATMs. Trip Advisor offers some great reviews as well if you have good internet connection! Mostly we have just rolled up to a village and hoped for the best. I think our success rate using this method has been about 30%. We have a mental checklist to cover when we check out the rooms before committing. It is mostly about having a clean bathroom and clean sheets which haven’t been used by anyone else. It is also about checking whether the plumbing actually works, going in and out. Top sheets, towels, power points and AC are luxuries which all form bargaining for discount prices. Might I add we are now acclimatised enough to take fan rooms as opposed to AC; a great budgetary move. The Conster took some coaxing to try this option! booking.com seems to be popular with hotels in Indonesia so when we have internet access we intend to try this site out more frequently. It is easy to use and you can book on the fly without paying online. Our first booking on the north coast of Bali turned out to be a find, right on the beach and $13 per night. It doesn’t get much better than that. As we swing into the pace of travel we are improving our systems for organising accommodation, planning ferry crossings and even getting to see some of the top tourist attractions. If you are considering this option yourself make sure you are licences and have your paperwork in order. Contrary to popular belief, the Police do care whether westerners have licences to ride scooters. We have been pulled over three times in Bali so far in the Denpasar region and they have been surprised we have registration papers and International Licences. I have twice entered the Tollway in Denpasar in the car lane and on the second occasion we both made this mistake. The policeman was very happy to exert his power over the westerners and kept us guessing as to whether we would be receiving a ticket or not. “Ticket or no ticket”, he kept repeating to us. Bribery is alive and well, but we just played dumb and his English was not good enough to get his message across. Life on the road in Indonesia can be difficult, frustrating and challenging but it also provides us with some gems; beautiful people, breathtaking landscapes, windy roads, healthy organic foods and time to just live as simply and mindfully as we like. Remember me…you n me meet in indonesia..in Jalan Raya Nganjuk – Surabaya on Friday 5th December 2014..
Hi Wili. Mauro Bungo has awesome food! i will write about our time there very soon. Hello mrs liz, this is dyah.. we meet in payakumbuh several days before. I hope we can meet again, that very pleasure to meet you and mr con. Hi, would like to get in touch with you. I manage indonesiabiketour.com and Motorcycle Overland Indonesia. 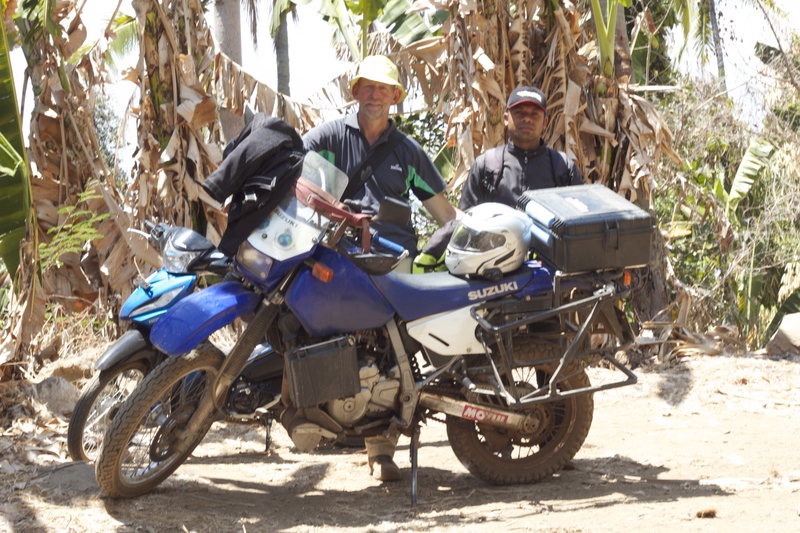 We have been catering and assisting overlanders passing through Indonesia for several years now. We also have an active Overland Indonesia whatsapp chat group with many rtw travelers as members. Hope you could join also.